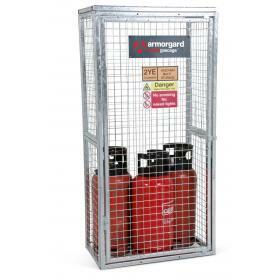 Engineered for the safe and secure storage of gas canisters, these cages are manufactured in a range of sizes to suit most applications. Please be aware that many of these will be supplied flatpacked. Please check the descriptions to see which models require assembly and which ones are supplied already assembled. 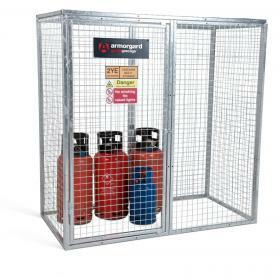 Supplied in 16 sizes, there is a Gorilla Gas Cage for you! 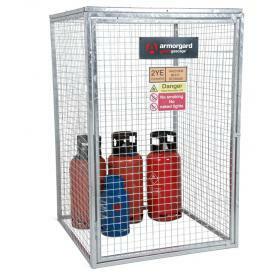 The GGC1 is constructed for 25mm box sections and 3mm wire mesh, made from galvanised steel.. Supplied in 16 sizes, there is a Gorilla Gas Cage for you! 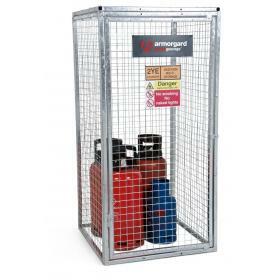 The GGC3 is constructed for 25mm box sections and 3mm wire mesh, made from galvanised steel.. Supplied in 16 sizes, there is a Gorilla Gas Cage for you! 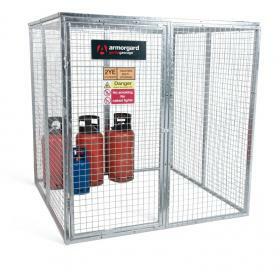 The GGC4 is constructed for 25mm box sections and 3mm wire mesh, made from galvanised steel.. Supplied in 16 sizes, there is a Gorilla Gas Cage for you! The GGC5 is constructed for 25mm box sections and 3mm wire mesh, made from galvanised steel.. Supplied in 16 sizes, there is a Gorilla Gas Cage for you! The GGC6 is constructed for 25mm box sections and 3mm wire mesh, made from galvanised steel.. Supplied in 16 sizes, there is a Gorilla Gas Cage for you! 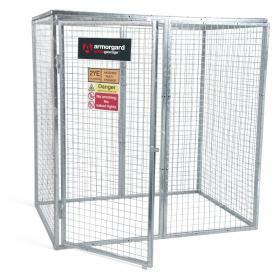 The GGC7 is constructed for 25mm box sections and 3mm wire mesh, made from galvanised steel.. Supplied in 16 sizes, there is a Gorilla Gas Cage for you! The GGC8 is constructed for 25mm box sections and 3mm wire mesh, made from galvanised steel.. Supplied in 16 sizes, there is a Gorilla Gas Cage for you! 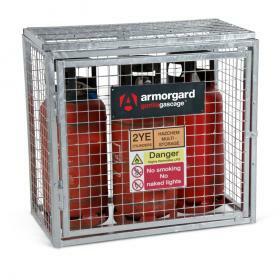 The GGC9 is constructed for 25mm box sections and 3mm wire mesh, made from galvanised steel.. Supplied in 16 sizes, there is a Gorilla Gas Cage for you! 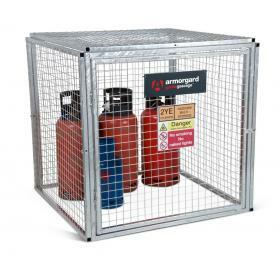 The GGC10 is constructed for 25mm box sections and 3mm wire mesh, made from galvanised stee.. Supplied in 16 sizes, there is a Gorilla Gas Cage for you! The GGC11 is constructed for 25mm box sections and 3mm wire mesh, made from galvanised stee.. Supplied in 16 sizes, there is a Gorilla Gas Cage for you! The GGC12 is constructed for 25mm box sections and 3mm wire mesh, made from galvanised stee.. Supplied in 16 sizes, there is a Gorilla Gas Cage for you! The GGC13 is constructed for 25mm box sections and 3mm wire mesh, made from galvanised stee..